Jonathan “Jon” started his career in 2011 in the Sunstar warehouse/materials management department. After completing EMT school, Jon quickly rose through the ranks, becoming a preceptor in 2013 and a field training officer in 2014. Jon consistently displays a great attitude when dealing with both new employees and EMT students, and receives great reviews from all of his trainees. Jon is a CPR/BLS instructor, and has taken an active role helping in the Sunstar training center, especially during renewal season when the company renews over 200 employees in a very short window of time. Jon has also expanded his role to the safety and risk department, becoming one of the most reliable and expert EVOC instructors. Jon holds national certification as an EVOC instructor, and is always making sure that our employees are driving safely. It is with great pride and pleasure that Sunstar Paramedics nominates Jonathan Balzer for the 2017 AAA Stars of Life award. 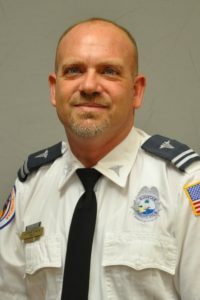 Jonathan and his partner, James Walker, Sunstar’s nominee for Florida Paramedic of the year, are both integral clinicians in our system and have repeatedly demonstrated high performance in multiple departments. Jon previously received the Gold Star Care award, which is achieved through repeated positive feedback from patients, hospitals or other clinicians. Jon is also a two-time recipient of the Care Plus award, a monthly award for outstanding customer service and great patient care. In June 2016, Jon and his partner were dispatched for a person experiencing an altered mental status. Upon arriving on scene, Jon found the patient in the care of the fire department with the police assisting. The only information Jon received from the assisting agencies was the patient’s name and a phone number. After the other agencies left, Jon and his partner continued their assessment of the patient. Jon discovered the patient had dementia and the phone number was her husband’s. After being very persistent and calling the number six or seven times, Jon finally spoke with the patient’s family. After speaking with the husband, Jon found out that the patient had walked out of her house a couple hours prior. The patient had been reported missing and had been called in as a silver alert. The family arrived at the scene and was able to take the patient home safely. Due to Jon’s quality care, patience, and concern for what was best for the patient, Jon was able to reunite the patient with her family, and keep her from further harm. Jon is committed to going above and beyond the call of duty.